If ever you thought about visiting Normandy and the D-Day Beaches, this —the 70th anniversary of D-Day—is the year to do it. It’s also an amazing World War II history lesson for the kids’ spring vacation. To commemorate the anniversary, TourCrafters has designed a 7-Day/6-Night D-Day package that starts at $1,659 per person, based on four persons traveling together. TourCrafters’ land-only price includes three nights hotel accommodation in Paris, three nights in Bayeux, daily buffet breakfast, round-trip 1st-class train Paris-Bayeux, transfers to and from the rail stations and a tour of the D-Day Landing Beaches. It does not include air fare. Departures are daily through October. There’s free time to explore the “City of Light,” to see the Eiffel Tower, visit the Louvre and Notre Dame, walk around the beguiling streets of the Left Bank, have a croque monsieur in a café, or even take a photogenic Bateau Mouche cruise on the River Seine. The Paris hotel, the 4-star Emeraude Louvre Montana boasts a perfect location—steps from the Tuileries and the Louvre—and a friendly, helpful staff. In Bayeux, the first French city to be liberated in June of 1944, you will be picked up for a D-Day Tour of the American Sector, to visit Omaha Beach where the Americans landed, to see the site of the German gun battery at Pointe du Hoc (where Rangers famously scaled the impossible 100-foot cliffs), and to wander through the thousands of white crosses and Stars of David in the very moving American Cemetery at Colleville-sur-Mer. There’s also free time in Bayeux, to stroll its medieval streets, tour its 11th-century cathedral, visit the Memorial Museum of the Battle of Normandy, and see the famed Bayeux Tapestry, a 230-foot embroidery that tells the story of William the Conqueror’s invasion of England. The charming 3-star Hotel Churchill has an equally perfect location—in the very center of Bayeux—and its lovely, gracious owner speaks perfect English. All prices quoted are per person, double occupancy, and are subject to availability. (They are higher from April to August.) For additional information about the land-only 70th Anniversary D-Day package, visit http://sales.tourcrafters.com/tour.lasso?ID=220. For reservations, call 800-482-5995. Context, organizer of critically acclaimed walking tours, expands its program in Madrid with a new walk designed and led by historians and political experts to commemorate the 75thth anniversary of the Guernica bombing. “Civil War and Madrid under Franco” traces a path through the center of the city where key events of the Spanish Civil War took place. The walk explores the origins of the war, the deep division between the Republicans and Francists, and finally, how the latter attained victory. It also looks at the fundamental role of international media, and volunteers who came to the aid of the Republicans, including American Lincoln Brigade and the Canadian Mackenzie-Papineau Battalion. The discussion, led by historians and political experts, presents first hand testimonials accompanied by personal artifacts of the era, supported by a clear analysis of the facts from the point of view of the international media, illustrated by rare photographic documentation. The walk ends in the Reina Sophia Museum with a focus on Picasso’s Guernica, a work of both art and denunciation. “The events of the Spanish Civil War are still fresh in the minds of many Spanish people as well as Americans and British who participated in the battle.” said historian Almudena Cros, one of the docents leading the walk. “This is a difficult, but fundamental subject to discuss in order to understand modern Spain. I think this walk achieves this”. Civil War and Madrid under Franco, launching this month, draws upon the expertise of Context’s network in Madrid, which includes historians, political experts and social historians. As with all of Context’s programs, groups are limited to six people. Civil War and Madrid under Franco runs Monday to Saturday at 10 am as group walks (Euro 65 per person). Private groups can be scheduled upon request (Euro 290 flat fee). and gastronomes, who organize and lead walking seminars in eighteen world cities, including: Florence, Rome, Venice, Naples, Paris, London, Edinburgh, Madrid, Barcelona, Berlin, New York, Philadelphia, Boston, Washington, D.C., Istanbul, and Athens. A certified B Corporation, Context Travel was named one of the fastest growing American companies in 2011 by Inc Magazine. Travel + Leisure has called Context one of the top European tour companies for its innovative approach to travel and the depth of its programs. To learn more about Context, visit its website at www.contexttravel.com. From a weekend getaway to a week-long vacation, there are many ways to include Jamestown Settlement and the Yorktown Victory Center in a Williamsburg destination itinerary, with a range of ticket and package options available at www.historyisfun.org/Vacation-Packages.htm. The two living-history museums tell the story of the nation’s beginnings, from the arrival of America’s first permanent English colonists in Virginia in 1607 to the American Revolution and the formation of the new nation. Jamestown Settlement’s expansive permanent exhibition galleries and introductory film chronicle 17th-century Virginia in the context of its Powhatan Indian, English and west central African cultures. Historical interpreters interact with visitors at outdoor re-creations of a Powhatan Indian village, the three ships that sailed from England to Virginia in 1607, and a 1610-14 colonial fort. At the Yorktown Victory Center, a museum of the American Revolution, gallery exhibits and an evocative film portray the Revolutionary era from the perspectives of citizens and soldiers. Outdoors, visitors can explore a re-created Continental Army encampment and 1780s farm. The basic History is Fun! combination ticket for Jamestown Settlement and the Yorktown Victory Center, $20 for adults and $10 for ages 6 through 12 and available year-round, is a 20 percent savings over individual admission rates. Purchased online, the ticket is good for seven consecutive days of unlimited admission, while admission tickets purchased on arrival are for one museum visit. 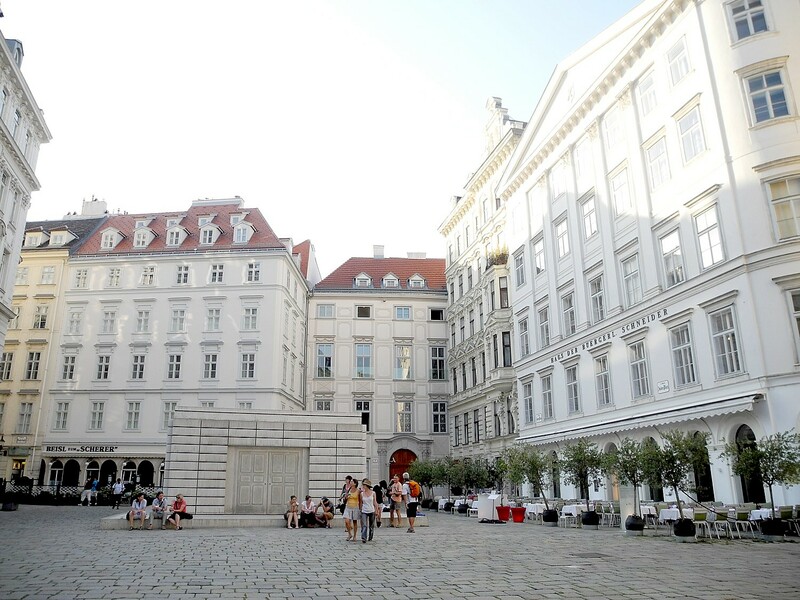 History, Shopping and Fun! provides seven consecutive days of admission to the two museums along with a voucher for a Williamsburg Premium Outlets VIP Coupon Book and a Historic Yorktown Rewards Card for shopping and dining discounts. The Jamestown and Yorktown Four-Site Value ticket, good for seven consecutive days of unlimited admission to Jamestown Settlement, Historic Jamestowne, Yorktown Battlefield and Yorktown Victory Center, is $30 for adults, $20 for ages 13-15 and $10 for ages 6-12 and is available year-round. America’s Historic Triangle, one ticket for seven consecutive days of unlimited visits to five historical attractions – Jamestown Settlement, Historic Jamestowne, Colonial Williamsburg’s Historic Area and Art Museums, Yorktown Battlefield, and Yorktown Victory Center – is $81 for adults and $35.50 for ages 6-17 and is available year-round. From March 18 through November 4, 2012, the free Historic Triangle Shuttle connects the Jamestown, Williamsburg and Yorktown attractions. The Williamsburg Flex ticket, available March 24 to October 28 in 2012, provides seven consecutive days of unlimited visits to Jamestown Settlement, Historic Jamestowne, Colonial Williamsburg’s Historic Area and Art Museums, Yorktown Battlefield, Yorktown Victory Center, and Busch Gardens. Water Country USA is a free added bonus between May 19 and September 3. The Williamsburg Flex ticket is $178.20 for adults, $138.70 for ages 6-17. Jamestown Settlement and the Yorktown Victory Center are open 9 a.m. to 5 p.m. daily, until 6 p.m. from June 15 through August 15. The two museums are administered by the Jamestown-Yorktown Foundation, a Virginia state agency accredited by the American Association of Museums. Jamestown Settlement is located on Route 31 South at the Colonial Parkway next to Historic Jamestowne, administered by the National Park Service and the Colonial Williamsburg Foundation (on behalf of Preservation Virginia). The Yorktown Victory Center is located on Route 1020 in Yorktown near Yorktown Battlefield, administered by the National Park Service. 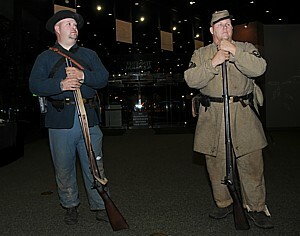 For more information, call (888) 593-4682 toll-free or (757) 253-4838, or visit www.historyisfun.org. This July, for the first time, middle-school-aged students from around the globe can experience Extreme Journey Summer Camp, which combines U.S. history and heritage with adventure and multimedia in the most historic region in the nation – the Journey Through Hallowed Ground National Heritage Area that runs from Gettysburg, PA to Thomas Jefferson’s home, outside Charlottesville, VA. The Journey Through Hallowed Ground Partnership, which overseas the Journey Through Hallowed Ground National Heritage Area, will team with Woodberry Forest School, an internationally recognized independent boarding school in Madison County, Virginia, to host a two-week overnight camp that builds on the enormous popularity of the JTHG Partnership’s day camp, Extreme Journey Summer Camp. Extreme Journey camps – both the day camp and overnight camp — take 6th through 8th grade boys and girls on historic adventures through Presidential homes, internationally known heritage sites, and through some of our nation’s most significant national parks. From the battlefields in Gettysburg to James Madison’s Montpelier, they hike, bike, canoe and spend time with National Park Service Rangers, expert historians, archaeologists, and educators to unlock stories and lessons of leadership found in the region. 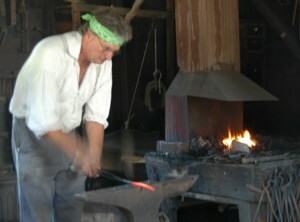 During their adventure, Extreme Journey campers assume the identities of key historical figures and are faced with the virtually the same set of facts and scenarios, enabling campers to “walk in the boots” of the historical men and women and better understand the choices and decisions of those who forged this nation. Using digital media tools, the campers record their experiences, creating a video documentary or Vodcast, focusing on “what leadership means to me.” Their Vodcasts are shared on the JTHG Partnership website, Facebook, and YouTube, creating a “viral” effect of the campers’ insight into national heritage. The two-week overnight camp runs from Sunday, July 10- Friday, July 22, where campers will reside in an air-conditioned dorm at Woodberry Forest School. There, they can also enjoy the school’s outstanding amenities. Founded in 1889 and situated on 1,200 beautiful acres in the Virginia Piedmont, Woodberry Forest is recognized internationally as a leader in the education of boys in grades 9 through 12. This is the fifth year that the Journey Through Hallowed Ground Partnership has offered Extreme Journey day camp, which is hosted in conjunction with the school districts in Albemarle and Loudoun counties in Virginia and in Adams County, Pennsylvania. Educating teachers, students, citizens and visitors is one of the primary objectives of the Journey Through Hallowed Ground Partnership. Since its inception in 2005,this non-profit, four-state, public-private partnership has developed a variety of educational programs, including the award-winning Of the Student, By the Student, For the Student ™ service-learning program, a high-school Summer Enrichment Camp with the University of Virginia, programs for Loudoun County Applied History classes, the semester-long teacher certificate course taught through the Virginia Community College System, teacher workshops, and semester courses for graduate students at the University of Virginia and Virginia Tech. With 400 years of European, American and African-American heritage, the Journey Through Hallowed Ground is a National Heritage Area with a National Scenic Byway running through it. From Gettysburg to Monticello, it’s known as the region Where America Happened. 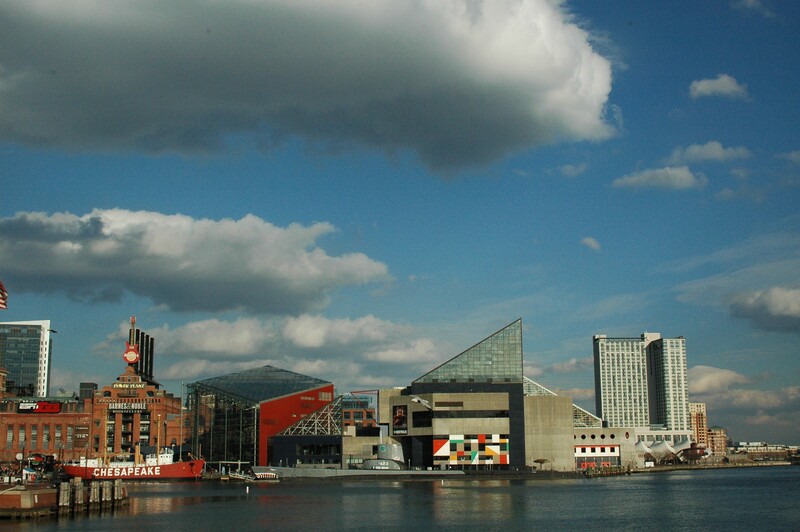 It contains more history than any other region in the nation, including National and World Heritage sites; more than 10,000 sites on the National Register of Historic Places; 49 National Heritage districts; nine presidential homes; 13 national park units; hundreds of African American and Native American heritage sites; 30 Historic Main Street communities; sites from the Revolutionary War, French and Indian War, and the War of 1812; and the largest single collection of Civil War sites in the nation. 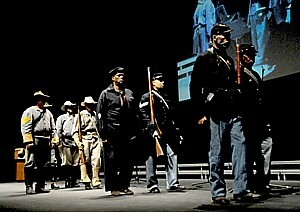 The commemoration of the 150th anniversary of the Civil War is already underway, as key events are marked. The state of Tennessee, the only state which has been declared a Civil War Heritage Area, has launched the most ambitious and comprehensive program with a Civil War Heritage Trail that encompasses the entire state, with scores of events taking place over the next five years. In its entirety, the depth and breadth provides an unparalleled opportunity to re-connect with the complex and tormenting history and understand it in a way that is eerily, horrifyingly relevant to today. Nashville’s Metropolitan Historical Commission will commence its Civil War Sesquicentennial program Saturday, April 9, at The Downtown Presbyterian Church in Nashville with a series of presentations called “The War Begins: Causes of the Secession Crisis in Tennessee.” The church is located at the corner of Church Street and Fifth Avenue, North. At 8:30 a. m., Mayor Karl Dean will make opening remarks. He will be followed by Jim Hoobler, chairman of Metro Historical Commission’s Civil War Sesquicentennial Committee, who will give a brief history of The Downtown Presbyterian Church and its use during the Civil War. Starting at 9 a. m., Dr. Jonathan Atkins, of Berry College in Mt. Berry, Georgia, will speak on “Parties, Politics and Sectional Conflict in Tennessee 1832-1861,” in which he will describe the causes in Tennessee leading to its involvement in the Civil War. Dr. Kristopher Ray, of Austin Peay State University in Clarksville, Tennessee, and editor of the Tennessee Historical Quarterly, will explain at 10 a. m. how the leaders in both the North and South reinterpreted the precepts of America’s founding fathers to suit their own political, social and economic purposes. At 11 a. m., The Fisk Jubilee Singers will perform spirituals and other songs appropriate to the Civil War period. Their performance is partially funded by a grant from the Tennessee Arts Commission. The program will end at noon. The event is free and open to the public. Free parking is available in the Premier Parking Lot at Fifth and Church to those people who tell the attendant that they are attending the Symposium. For more information, contact Jim Hoobler at Jim.Hoobler@tn.gov. Gathering of the Fleet: nearly a dozen of the Maine Windjammers raft up making an incredible spectacle © 2010 Karen Rubin/news-photos-features.com. It is one of those truly memorable experiences that travel affords: a Gathering of the Fleet of Maine’s Windjammers, a collection of about a dozen tall ships, most of which are National Historic Landmarks, which sail in the Penobscot Bay (and some, further on). This is the “Schooner Gam,” which kicked off this summer’s season, and encompassed just about the entire fleet, highlighted by a Raft-Up – where all the boats tie up together. As we sail from Swans Island where we spent the night anchored in a cove, we see them far on the horizon, like leviathans gliding on the water. The ships come from various directions, closer and closer, and gradually, we start to form a parade of sorts as we tacked into a cove for the gathering. They are majestic, magnificent, graceful and powerful and proud. The ships (or rather the captains and crew) do this marvelously choreographed, painstaking maneuver to slowly come along side each other, “raft up” – tie up with one another. Our ship, the American Eagle, captained by its owner, John Foss, who is one of the most senior of the Windjammer captains with 35 years (25 years with this ship which he restored, and 10 years with his first ship, the Lewis R. French, built in 1871), eases along side the Victory Chimes. As the majestic ships, most of them more than a century old, fill the cove, you forget what century you are in. Then the party starts, and all of us passengers can climb from one ship to the other, visiting and greeting, tasting the appetizers that have been set out. For the captains and the crews, it is a chance to meet up with old friends and colleagues. For the passengers, many of whom had just set out on their journey that morning, it is the rarest opportunity to meet others who hail from all parts of the country, and even from abroad, so different, yet sharing this desire to experience a form of travel and a kind of life that has all but disappeared. On our port side, music breaks out on the Mercantile, a National Historic Landmark, built in 1916 to carry fish, barrel staves and firewood, reconfigured to its new career to carry 29 guests. This sailing has two family reunions on board. On our starboard side is the Victory Chimes. Built in 1900, it is the largest passenger schooner in America and one of the only three-masted schooners left. On board is the great-grandson of George K Phillips, whose shipyard built the Victory Chimes (he was also on the 2000 sailing to mark the 100th anniversary of the ship) and 30 others like it (the Victory Chimes is one of only a few surviving). The chef breaks out the lobster pot to begin preparing their evening’s dinner – the fresh-caught lobster bake that is a tradition of every windjammer cruise. We traipse across to the Angelique, rare in that it was purpose-built for windjamming in 1980 and patterned after the 19th century sailing ships that fished off the coast of England. It has a deckhouse salon with a piano, and is being used for this trip by Exploritas (formerly Elderhostel), and there is a board listing activities that include various lectures and discussions. Each of the dozen ships in the fleet is unique in its structure and its “story”, and has its own personality largely formed by the Captain and crew. Each sailing aboard a Maine Windjammer is uniquely formed by the weather and wind and the particular combination of passengers – as the many passengers we meet who were repeat cruisers attest. A windjammer cruise is the essence of serendipity. Alec, our first mate, has put on a fancy jacket that looks like an English hunting jacket but makes him look like a World War I soldier, a shirt and tie decorated with schooners, khaki pants and no shoes, prompting “oohs” and “ahs” from his colleagues on the other boats. It drizzles while we have dinner, so we go below in the American Eagle galley, but after dinner, the sun breaks through casting this fabulous golden light. We have our freshly churned ice cream on deck and the mingling with the other passengers and crews of the other boats begins anew. Captain Foss gives the order to pull around the rowboat so we can get to the water line to row around all the boats to witness the full spectacle and take pictures. It is a spectacular sight – you sense what treasures these ships are, and are so grateful for the captains and crew who give these ships – which in a former life hauled timber, granite, fish – a new working life and an economic basis. As the sun sets, several of the captains, including Captain Foss, fire off a cannon and bring down their flags. Three of the ships fall away from the group – taking some of the passengers that belong on another ship, prompting enormous laughter (no matter, a rowboat returns them to the right ship), and we gently separate and motor a short distance away. Gradually, all the boats separate and find their own little patch of the cove to weigh anchor, as the sky deepens in color – yellow to pink to red at the horizon, azure to royal blue higher in the sky. A crescent moon with Venus shining brightly above. Several of us stay on deck to sit around and chat in the light of kerosene lanterns, then go below where Alec is playing a guitar and singing humorous songs. That’s the other hallmark of windjamming: the camaraderie that forms when you have only conversation, story-telling and song as distractions. There are other opportunities throughout the season for gatherings of the fleet – for races or rendezvous. Windjammer Days, June 23, there is a grand sail parade through picturesque Boothbay Harbor. 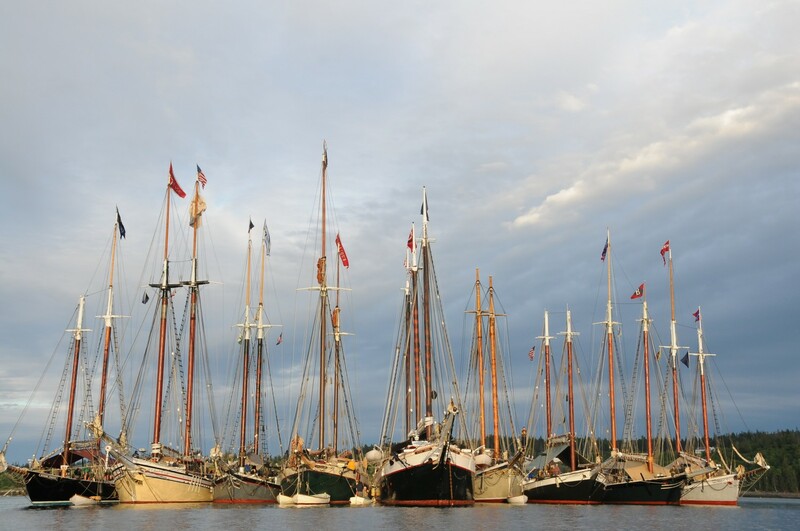 The 34th anniversary of the Great Schooner Race, North America’s largest annual gathering of tall ships, takes place the week of July 5, when more than two dozen tall ships gather for an all-day race in which guests may participate. This is another Raft-Up opportunity. The Maine Windjammer Parade is scheduled for Friday, July 16, when the entire fleet joins an afternoon Parade of Sail past the mile-long Rockland Breakwater. Many windjammers gather during the week of August 2 for the Sweet Chariot Music Festival on Swans Island. The fleet gathers in pictures Camden Harbor on Sept. 3-4, for the Camden Windjammer Festival, reminiscent of the days when hundreds of coastal schooners lined the waterfront. This is another Raft-Up opportunity. The WoodenBoat Sail-In takes place Tuesday, Sept 14, in Brooklin, Maine. This fall gathering of the fleet is in its 24th year, and there are refreshments, live music, tours and a harbor full of historic schooners. The Maine Windjammer Association includes 12 traditional tall ships, ranging in size from 46 to 132 feet on deck. Seven of them are National Historic Landmarks. They carry between 6 and 40 guests and 2-10 crew members They offer a variety of special interest cruises including wine tasting, pirate adventure, art and photography, festival, lighthouses, whale-bird and naturalist, knitters’ weekend, music and story-telling, plus family and kids getaways; there are also “Fairwinds and Fairways” golf and cruise packages; land and sea packages with Historic Inns of Rockland, and an Air & Sea Package with Cape Air from flying from Boston to Rockland. (800-807-WIND, http://www.sailmainecoast.com). For more about our voyage aboard the American Eagle and the Maine Windjammers and more photos, visit http://www.travelwritersmagazine.com/TravelFeaturesSyndicate.